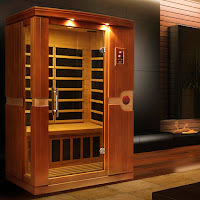 Perfect for relaxing at home, the Dynamic Saunas AMZ-DYN-6210-01 Venice 2-Person Far Infrared Sauna is quality-built and offers outstanding value for money. 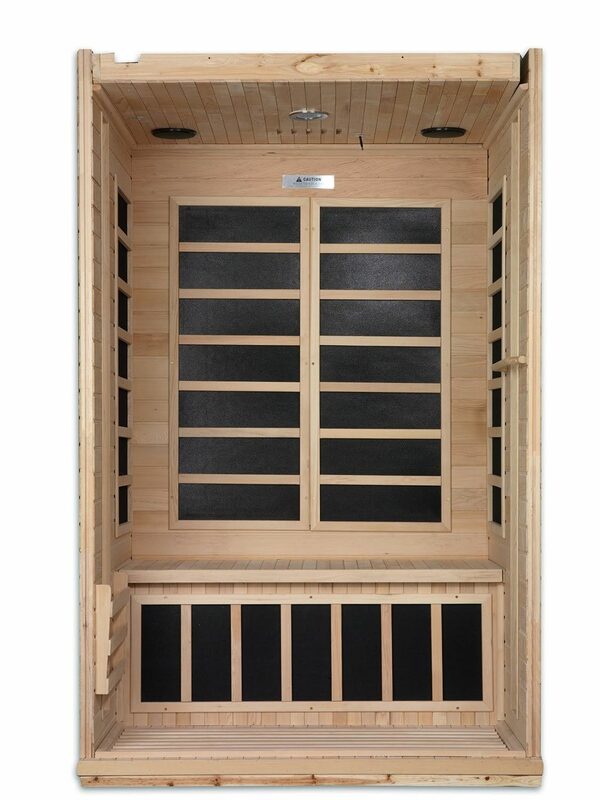 The Dynamic Saunas AMZ-DYN-6210-01 Venice is constructed with Reforested Canadian Hemlock Wood. With its thick double-walled panels, this sauna heats up faster and retains heat more efficiently compared to many other home saunas on the market, preventing wasted energy and saving you money. 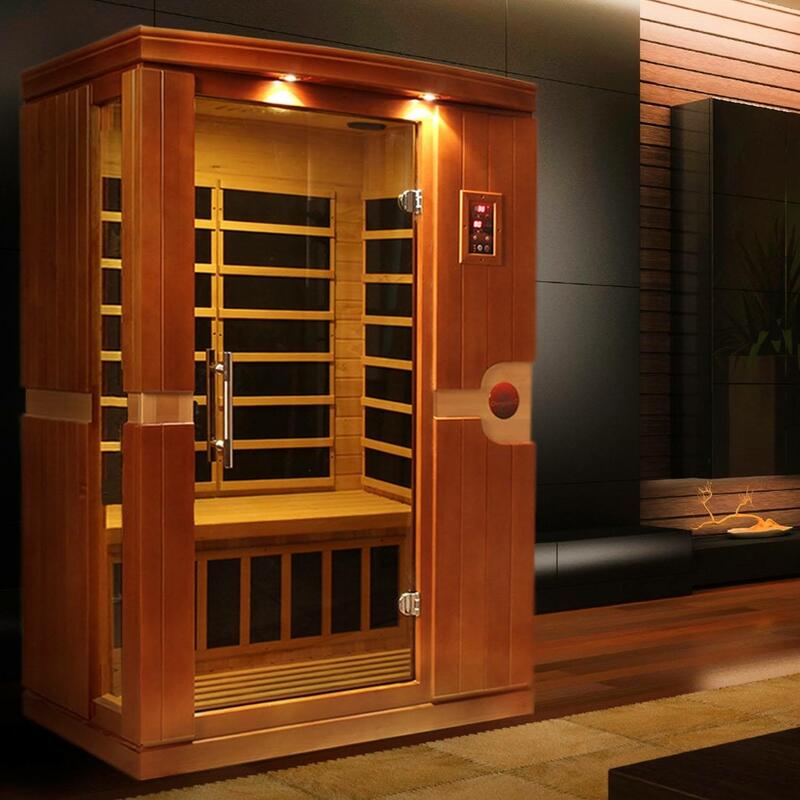 The Dynamic Saunas Venice incorporates 6 Low EMF Far Infrared Carbon Energy Efficient Heating Panels which are 30% larger than traditional ceramic heating tubes, provide more even heat distribution, and never need replacing like ceramic tubes do. These carbon heating panels help to maximize the therapeutic health benefits of saunas with 40% more skin penetration than ceramic tubes. The Dynamic Saunas Venice AMZ-DYN-6210-01 operates at a heat temperature up to 140F which is much safer than traditional rock and water saunas which heat at over 200F and don’t penetrate the skin. The Dynamic Saunas Venice comes with an easy-to-use dual Soft Touch Control Panel (internal & external) with an LED display for temperature and time functions. The Dynamic 2-Person Venice Sauna features a bronze privacy tempered glass door and side insert which help to give the sauna a light and spacious feel. 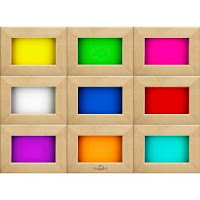 A Chromo Therapy Lighting System is also included so you can enjoy the healing benefits of colored lights alongside the sauna’s heat benefits. You can even listen to your favorite music with the included MP3 aux connection and dynamic speakers. 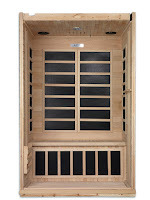 The Dynamic Saunas AMZ-DYN-6210-01 Venice Far Infrared Sauna is quick and easy to put together with simple and straightforward “clasp-together” assembly and plug-and-play connection which means this sauna can be plugged directly into a dedicated 15 amp 110v outlet. FAR Infrared Saunas can help with detoxification, lowering blood pressure, increase circulation, alleviating joint and muscle pain, improving skin tone and many other health benefits. See my article “Health Benefits of Saunas” for more information.